Al Michael Salazar, 57, was relieved of all the physical ailments that he bravely battled for many years, and had the sweet and long-awaited reunion with his beloved mother, father and brother in Heaven on June 25, 2018. Al was born in Henderson, Nevada to Patricia Ann Maguire and Arthur Michael McCarthy and was the third of four boys. The family moved to Sonoma, California when he was very young and he grew up in the beautiful Napa Valley until he moved to Provo, Utah after high school. Al met his wife, Laura Lynn Maves, while in Provo and they were sealed in the Idaho Falls, Idaho Temple on December 30, 1986. They had a marriage full of adventure, moves to 3 different states, basketball games, support, kindness and most importantly, a deep and pure love for their two children. After 26 years they lovingly ended their marriage and maintained the bonds of respect they held for each other’s families and each other, and had the joy of watching their children begin their own families. 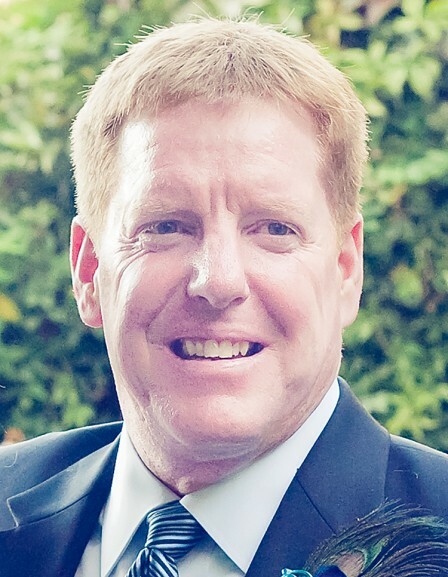 He was a proud graduate of Sonoma Valley High School- class of 1979, and filled his children’s childhoods full of stories and cherished moments he had playing basketball for Coach Bergman. Nothing made him happier than when he could bring his family to his beloved hometown and show them around and recreate memories that had carried him through his life. Mary’s Pizza and a fresh loaf of sourdough bread were always the first stops he was sure to make! Al was a champion of faith, love and kindness and never let an opportunity to form a lasting friendship pass him by. He led with passion, courage, humor and intensity and made the world around him a better place because of it. His children love him deeply and will carry his spirit with them always. His grandchildren adored him and had the blessing of spending special moments with him in the brief time they had with him. Al is survived by his daughter Kelly (Chris) Meads, son Michael (Amy) Salazar; grandchildren Tate, Pyper, Jude and Roe; siblings Bobby (Julie) and John. Al is preceded in death by both parents (Arthur and Patricia) and brother Harry. In lieu of flowers or meals, please consider paying for a young athlete who does not have enough money to join a team, or help them purchase the necessary athletic equipment to feel confident, strong and excited to be pursing what they love most! Al was blessed to be surrounded by people in his youth who saw his love and passion for basketball, and did whatever they could to help him achieve those goals. He made it his life’s mission to pass on those blessings to anyone he could, and we hope this legacy can live on without him here with us. Funeral services will be held on Monday, July 2 at the Timpanogos 5th Ward LDS Chapel, 800 North 100 West, Pleasant Grove, Utah 84062. There will be an open house before the service from 10am-10:45am. The funeral service will begin at 11am.